Do I really have to choose just one? If we’re talking younger childhood, I really loved a Little Golden Book called Where Did the Baby Go? My mom would read that one to me over and over again, and she always said I looked like the little girl in the story. I still read that book to my girls today. Now, if we’re talking middle childhood, I’ll tell you I was obsessed with the American Girl books. Molly was my favorite, mostly because she wore glasses like me. That was back when there were only like five main historical dolls. Okay, now I feel old . . . 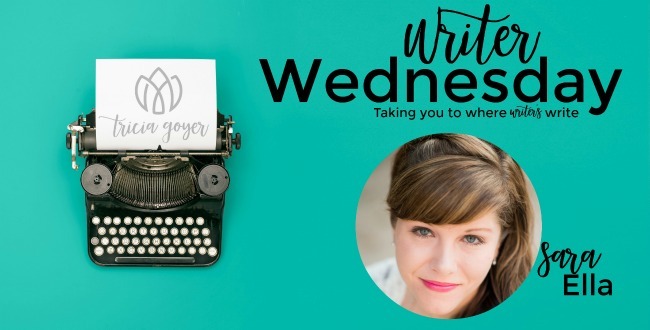 This question should ask what “books,” as in plural, as in multiple, as in so many great authors and their stories inspired me to write my own. I do, however, want to give special recognition to Shannon Dittemore (Angel Eyes trilogy) and Kiera Cass (The Selection series). These mamas of young kids shared their stories of writing while mothering. Both of these ladies really inspired and motivated me. If they could write and brainstorm during 1 a.m. feedings, then so could I! Ugh, I miss reading. No, really. They don’t tell you when you become a published author that your leisure reading time goes down to negative zero. (Yes, that’s a number). I’ve just turned in my third manuscript for the Unblemished trilogy and am just now getting back to reading just to read. And, of course, I picked up The Evaporation of Sofi Snow by Mary Weber. One of my favorite authors plus a music inspired novel equals a read that’s sure to get me out of this reading slump I’ve been in for over a year. My first hard copy of Unraveling, The Evaporation of Sofi Snow, the Bible, and Six by Seuss (for my kids, of course). Well it won’t be out for a while, but the lovely Nadine Brandes has a novel in the works that’s sure to be unforgettable! 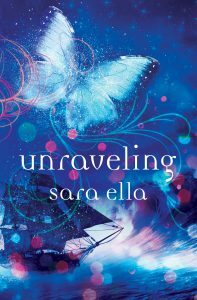 Author @SaraEllaWrites answers @TriciaGoyers’s quick 5 questions and hosts an ‘Unraveling’ #giveaway! Read the first five chapters of Unraveling here. Hi Sara Ella, It’s a pleasure to meet you. You are a new to me author. The cover of Unraveled is absolutely breathtaking and sounds terrific. I would love to read it! Hey Sara Ella! My teen girls and I discovered you not long ago. We all adore your writing, and can’t wait to finish the trilogy. One of my girls is almost 15, she is a Christian writer also, her name is Sara Ellen!! May God bless your future endeavors.